I'm over at No Big Dill today. Katy's hosting chapter 4 of Once Upon a Thread and today I'm sharing my project! 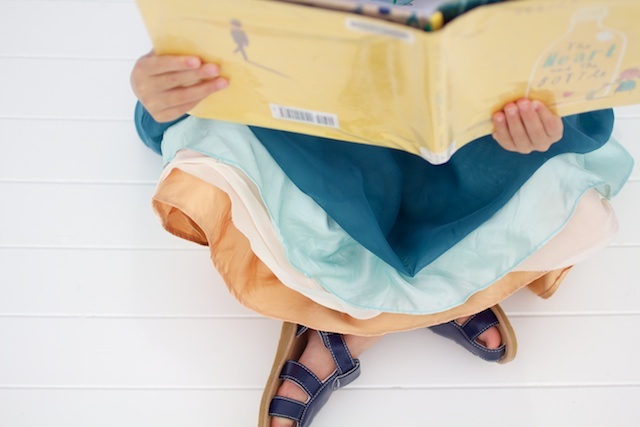 If you aren't familiar with it, "Once Upon a Thread" is an event where we get to create a project based on our favorite children's book. 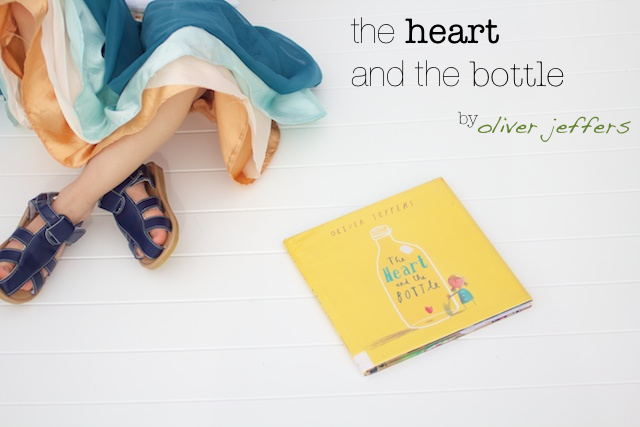 For me, it was an easy choice: "The Heart and the Bottle" by Oliver Jeffers! 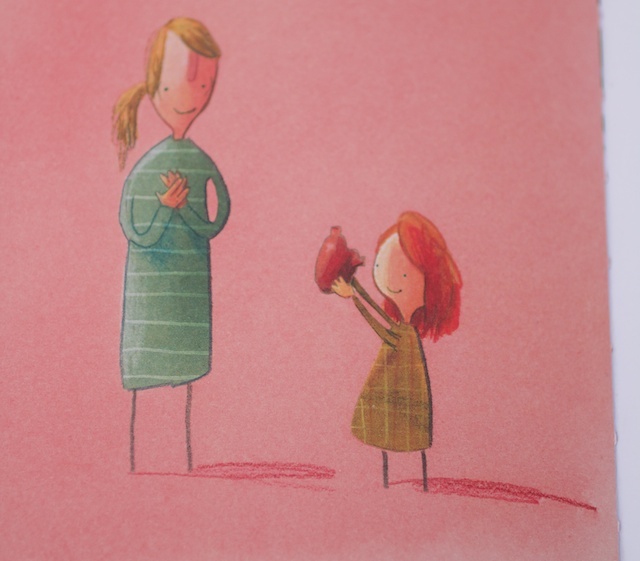 SUCH a sweet story and I absolutely love the illustrations. Head over to No Big Dill to see what we made! So very cute. Thanks for sharing! I LOVE your skirt... really beautiful and the layers are lovely! I also was a part of this chapter of OUT and am enjoying seeing all the book interpretations! Loved your project! I'm excited to check out that book! I'd love to hear more of your favorite books! Are you on goodreads? I love it for keeping track of what my friends are reading and finding new books! I love the ocean skirt! The necklace is also adorable, and it was creative to leave it opened at the top so your daughter could put flowers in it. I visited No Big Dill today and saw your project. Wow, I LOVE your ocean skirt!